Halfway through her chemotherapy treatment following a breast cancer diagnosis, Susan (not her real name) began to feel as though a blanket of fog had rolled over her brain. A highly successful professional in her 50s, she suddenly had trouble remembering the day of the month or even her own phone number. The experience so unnerved Susan that she became convinced she had Alzheimer’s disease. Her oncologist discounted her concerns, attributing them to stress. But she knew her symptoms were more than stress-related. This breast cancer survivor’s story is not all that uncommon. Between 20% and 61% of breast cancer patients who receive standard-dose chemotherapy experience some degree of cognitive dysfunction. For many cancer patients, the experience of “chemobrain,” the diffuse mental cloudiness presumed to be caused by the neurotoxic effects of chemotherapy, can profoundly affect cognitive, social, and occupational functioning; sense of self; and quality of life. Although the scientific and medical communities recognized the toxicity of chemotherapeutic agents nearly 40 years ago, it was only in the early 1990s that they began to appreciate the impact of chemobrain. Stephanie Reid-Arndt, a neuropsychologist and chair of the Department of Health Psychology at the University of Missouri–Columbia, works with patients who have experienced cognitive changes during and following cancer treatment. She says patient complaints tend to center around short-term memory problems and difficulty recalling words. These issues are particularly distressing for patients who have not been informed about the potential cognitive side effects of cancer treatment and are alarmed by these changes. Unfortunately, there is neither an official diagnosis of chemobrain nor a usual course of symptoms. Moreover, only a subset of patients exposed to chemotherapy report cognitive difficulties, leading some researchers to speculate that certain genetic or constitutional factors, as well as certain chemotherapeutic regimens, may predispose particular individuals to cognitive dysfunction. Patients may experience cognitive changes at any point during or following chemotherapy, and these changes may be short-lived, persist indefinitely, or have a delayed onset. Deficits can range from subtle to profound, but even slight changes can have a significant impact on everyday functioning. Most commonly affected are working memory, attention and concentration, information processing speed, reaction time, visuospatial ability, and executive function. Patients can be particularly distressed when their ability to organize and plan multistep tasks is impaired; these problems can slow or prohibit their return to work or to normal social activities. Patients also report distress when their physicians minimize their reported symptoms, often by attributing them to depression or anxiety (which the patient may or may not have), or assuring patients that changes will resolve upon completion of treatment. developing or translating existing prevention and treatment strategies. Using neuropsychological tests to objectively document chemotherapy-related cognitive deficits has proven difficult due to variations in study design, methodology and measurement, and definitions of cognitive impairment. Part of the problem with documenting patients’ subjective complaints is that many neuropsychological assessment instruments were designed to detect significantly impaired performance — such as one would see in cases of stroke or dementia — rather than subtle changes in cognition. Since the deficits exhibited by chemotherapy patients tend to be mild to moderate, individuals may test in the low average or average range. But for someone whose functioning prior to treatment was in the high average or superior range, testing in the low average range would represent a substantial loss. Having more sensitive neuropsychological measures, particularly more fine-tuned measures of executive functions, would help researchers and clinicians more precisely document the extent of cognitive decline, design targeted treatments, and assess the effectiveness of cognitive rehabilitation interventions. Structured clinical neuropsychological testing is conducive to obtaining a person’s “best” performance in a clinical setting, but that may bear little resemblance to his or her ability to perform similar tasks in the real world. To enhance assessment of cognitive decline in chemotherapy patients, we can borrow assessment tools developed for other disorders. For example, the Rivermead Behavioural Memory Test and the Test of Everyday Attention assess and monitor changes in memory and attention for people with acquired brain injury. The Party Planning Task was developed to assess executive dysfunction in adolescents with traumatic brain injury, and the Test of Grocery Shopping Skills was developed to test executive function in persons with schizophrenia. Such ecologically valid tests could be developed to reflect the everyday demands faced by chemotherapy patients and supplement standard neuropsychological test batteries. Another assessment challenge centers on self-reports, which don’t always correspond with objective neuropsychological findings. Some researchers have suggested that self-reports and neuropsychological test findings gauge different constructs, or that certain neuropsychological measures may not be sensitive enough to detect subtle cognitive deficits. But patients’ perceptions of their cognitive functions are important; several studies show that self-reports of cognitive deficits appear to presage structural or functional changes in the brain. For example, Robert J. Ferguson, a clinical health psychologist at Eastern Maine Medical Center, and colleagues described the case of monozygotic twins, one of whom received breast cancer chemotherapy. The twins had comparable neuropsychological test performance. But the twin who received chemotherapy had considerably more cognitive complaints — and demonstrated changes in brain activity on functional Magnetic Resonance Imaging (fMRI), suggestive of a compensatory process. Such studies not only highlight the value of self-reports of cognitive function, but also demonstrate the need to develop and validate more sensitive self-report measures that could supplement information provided by neuroimaging and electrophysiological measures. Multimethod assessment might help identify those individuals most vulnerable to the cognitive effects of chemotherapy. One of the more challenging aspects of neuropsychological assessment involves distinguishing cognitive changes attributable to chemotherapy from affective and biological factors, such as depression, anxiety, fatigue, pain, disrupted sleep and circadian rhythms, and the effects of normal aging. Although affective disorders do not appear to correlate with neuropsychological measures, they are associated with subjective reports of cognitive function. Nutritional deficiencies, metabolic changes (e.g., chemotherapy-induced menopause), anemia, fluid and electrolyte imbalance (e.g., dehydration), and medications (e.g., steroids) can also cause or exacerbate cognitive difficulties. How do these factors interact with chemotherapy to increase cognitive vulnerability? 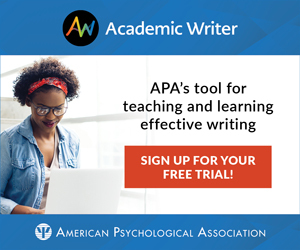 This question presents researchers with an opportunity to explore how cognition is affected by a wide range of affective, nutritional, metabolic, and pharmacologic factors as they occur in the real world. Advances in neuroimaging have allowed researchers to begin to document the neuroanatomical correlates of chemotherapy-linked cognitive deficits. A variety of neuroimaging techniques — including MRI, fMRI, diffusion tensor imaging (DTI), proton magnetic resonance spectroscopy, positron emission tomography (PET), and single photon emission computed tomography — have been used to assess brain structure and function before, during, and following chemotherapy. For example, clinical researchers have documented structural and functional changes in the brains of breast cancer patients who received standard-dose or high-dose chemotherapy. Reductions in white matter integrity and gray matter volume, along with impaired performance on neuropsychological tests, have been observed in high-dose chemotherapy recipients nearly a decade after treatment, as well as in breast cancer patients who received standard-dose chemotherapy. However, understanding the meaning of these changes will require using newer imaging techniques (such as DTI) or identifying biomarkers to determine whether brain alterations represent dehydration, edema, or neural degeneration, all of which have implications for cognitive recovery. Using fMRI to study brain activation or PET to study cerebral blood flow and metabolism while patients perform cognitive tasks could help identify specific brain regions affected by chemotherapy and shed light on the cognitive processes underlying poor neuropsychological test performance. Researchers have only begun to explore how neuroimaging could be used to monitor neurotoxicity. For example, researchers led by Daniel H. S. Silverman at University of California, Los Angeles, proposed the use of PET scans to assess how patients respond to neurotoxic chemotherapy, much as cardiac studies are used to monitor cardiac function in patients receiving cardiotoxic chemotherapy. Despite many challenges, scientists have accumulated sufficient evidence to spawn a small body of research on rehabilitation. Cognitive rehabilitation strategies typically focus on skills training, cognitive behavioral techniques, compensatory strategies, or a combination of these approaches. For example, a recent randomized clinical trial at Indiana University employed a cognitive skills training approach to improve memory and speed of processing in breast cancer survivors. Subjects were randomly assigned to a memory training intervention, speed-of-processing intervention, or wait-list. At the 2-month follow-up, both intervention groups demonstrated improved memory, speed of processing, perceived cognitive function, and quality of life compared to wait-list controls. A somewhat different approach is being taken by Eastern Maine Medical Center’s Ferguson and colleagues, who are developing a cognitive-behavioral intervention, Memory and Attention Adaptation Training (MAAT), to help patients better manage cognitive failure in everyday tasks. Unlike cognitive rehabilitation interventions that focus on memory improvement, MAAT teaches self-management and coping skills to enable patients to deal with everyday cognitive deficits. 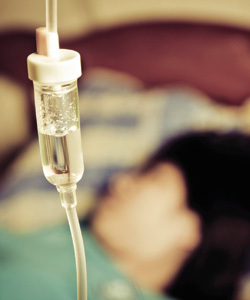 The intervention includes educating patients about the effects of chemotherapy on memory and attention, and training in self-awareness, self-regulation, and compensatory strategies. Symptoms of chemotherapy-related cognitive impairment may overlap with those seen in attention deficit hyperactivity disorder (ADHD), traumatic brain injury, stroke-related injuries, and degenerative processes associated with mild cognitive impairment or dementia. This overlap provides an opportunity to leverage rehabilitation strategies from complementary fields to advance cancer cognitive rehabilitation. For example, many symptoms related to chemotherapy overlap with the mild cognitive impairment characteristic of predementia. Neuropsychologist Melanie Chandler Greenaway and colleagues developed the Memory Support System (MSS), which consists of training patients to use a memory notebook. The MSS was developed to help patients with amnestic mild cognitive impairment compensate for and adapt to memory loss. In a small, randomized trial, the MSS intervention produced improvements in daily activities and in memory. Similarly, patients exposed to chemotherapy commonly complain about executive dysfunction, which is also a central symptom of ADHD. Researchers could study the use of organizational skills training designed for children and adults with ADHD to help patients struggling with chemobrain. Abraham, J., Haut, M. W., Moran, M. T., Filburn, S., Lemiuex, S., & Kuwabara, H. (2008). Adjuvant chemotherapy for breast cancer: Effects on cerebral white matter seen in diffusion tensor imaging. Clinical Breast Cancer, 8, 88–91. Ahles, T. A., & Saykin, A. (2001). Cognitive effects of standard-dose chemotherapy in patients with cancer. Cancer Investigation, 19, 812–820. Ahles, T. A., & Saykin, A. J. (2007). Candidate mechanisms for chemotherapy-induced cognitive changes. Nature Reviews Cancer, 7, 192–201. Ahles, T. A., Saykin, A. J., Furstenberg, C. T., Cole, B., Mott., L. A., Skalla, K., . . . Silberfarf, P. M. (2002). Neuropsychologic impact of standard-dose systemic chemotherapy in long-term survivors of breast cancer and lymphoma. Journal of Clinical Oncology, 20, 485–493. Ahles, T. A., Saykin, A. J., McDonald, B.C., Furstenberg, C. T., Cole, B. F., Hanscom, B. S., . . . Kaufman, P. A. (2008). Cognitive function in breast cancer patients prior to adjuvant treatment. Breast Cancer Research and Treatment, 110, 143–152. Collins, B., Mackenzie, J., Stewart, A., Bielajew, C., & Verma, S. (2009). Cognitive effects of chemotherapy in post-menopausal breast cancer patients 1 year after treatment. Psycho-Oncology, 18, 134–143. de Ruiter, M. B., Reneman, L., Boogerd, W., et al. (2012). Late effects of high-dose adjuvant chemotherapy on white and gray matter in breast cancer survivors: Converging results from multimodal magnetic resonance imaging. Human Brain Mapping, 33, 2971–2983. Ferguson, R. J., McDonald, B. C., Saykin, A. J., & Ahles, T. A. (2007). Brain structure and function differences in monozygotic twins: Possible effects of breast cancer chemotherapy. Journal of Clinical Oncology, 25, 3866–3870. Ferguson, R. J., McDonald, B. C., Rocque, M. A., Furstenberg, C. T., Horrigan, S., Ahles, T. A., & Saykin, A. J. (2012). Development of CBT for chemotherapy-related cognitive change: Results of a waitlist control trial. Psycho-Oncology, 21, 176–186. Greenaway, M. C., Duncan, N. L., & Smith, G. E. (2013). The memory support system for mild cognitive impairment: Randomized trial of a cognitive rehabilitation intervention. International Journal of Geriatric Psychiatry, 28, 402–409. Hermelink, K., Untch, M., Lux, M. P., Kreienberg, R., Beck, T., Bauerfeind, I., & Münzel K. (2007). Cognitive function during neoadjuvant chemotherapy for breast cancer. Cancer, 109, 1905–1913. Jansen, C. E., Dodd, M. J., Miaskowski, C. A., Dowling, G. A., & Kramer, J. (2008). Preliminary results of a longitudinal study of changes in cognitive function in breast cancer patients undergoing chemotherapy with doxorubicin and cyclophosphamide. Psycho-Oncology, 17, 1189–1195. Kesler, S. R., Kent, J. S., & O’Hara, R. (2011). Prefrontal cortex and executive function impairments in primary breast cancer. Archives of Neurology, 68, 1447–1453. Nelson, W. L., & Suls, J. (2013). New approaches to understand cognitive changes associated with chemotherapy for non-central nervous system tumors. Journal of Pain and Symptom Management, 46, 707–721. Silverman, D. H. S., Dy, C. J., Castellon, S. A., Lai, J. Pio, B, S., Abraham, L., . . . Ganz, P.A. (2007). Altered frontocortical, cerebellar, and basal ganglia activity in adjuvant-treated breast cancer survivors 5–10 years after chemotherapy. Breast Cancer Research and Treatment, 103, 303–311. Staat, K., & Segatore, M. (2005). The phenomenon of chemo brain. Clinical Journal of Oncology Nursing, 9, 713–721. Von Ah, D., Carpenter, J. S., Saykin, A., Monahan, P., Wu, J., Yu, M., . . . Unverzagt, F. (2012). Advanced cognitive training for breast cancer survivors: A randomized controlled trial. Breast Cancer Research and Treatment, 135, 799–809. Wefel, J. S., Saleeba, A. K., Buzdar, A. U., & Meyers, C. A. (2010). Acute and late onset cognitive dysfunction associated with chemotherapy in women with breast cancer. Cancer, 116, 3348–3356. Wefel, J. S., Lenzi, R., Theriault, R. L., Davis, R. N., & Meyers, C. A. (2004). The cognitive sequelae of standard-dose adjuvant chemotherapy in women with breast cancer. Cancer, 100, 2292–2299. Wefel, J. S., & Schagen, S. B. (2012). Chemotherapy-related cognitive dysfunction. Current Neurology and Neuroscience Reports, 12, 267–275. Where is the best place to have memory evaluations during/ before initiation of chemo. does any oncology unit offer this in conjunction with chemo. My mom had both cardiac and memory issues after lymphoma TX, ie. Memory care unit now. Thanks. Wendy L. Nelson is a clinical psychologist and program director in the Behavioral Research Program, Division of Cancer Control and Population Sciences, National Cancer Institute. Her research interests include medical decision making, the cognitive effects of cancer treatment, and ethical issues in the conduct of clinical trials. Jerry Suls is senior scientist, Behavioral Research Program, Division of Cancer Control and Population Sciences at the National Cancer Institute. Previously a professor of psychology at the University of Iowa, he is known as a health and social psychologist and was recipient of the APA Division 38 Distinguished Scientific Contribution Award. Lynne Padgett is rehabilitation psychologist and program director at the National Cancer Institute. Her program of research focuses on measurement of cognition and emotional distress, as well as interventions to improve cognitive functioning in pediatric and adult cancer survivors. Additional interests include delirium, palliative care, and implementing research findings into community practice.